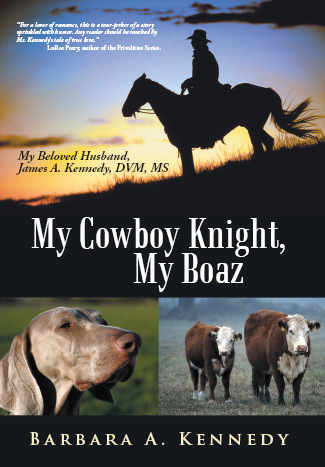 My Cowboy Knight, My Boaz shares the true story of a lonely woman who looked for love--and found the man of her dreams in a humble veterinarian. Telling her life story, author Barbara A. Kennedy recounts seeking to answer questions while leaving the past behind to find her once-in-a-lifetime love. She met an extraordinary man, and she shares all the romantic details in this book that contains what could be some of the most beautiful love letters and prayers ever.